This is not a drill: we’ve officially got the first footage of Harry Styles cutting off his hair, and it may make you feel things. Harry Styles’ hair is almost as iconic as Harry himself, so it was understandable when he chopped it off and fans freaked out about it last year, sending Twitter into a frenzy over his new short ‘do. But now that fans have had time to adjust to the new look, they’re simply just excited for his new music. But the hair chop heard ’round the world has been revived, and we have actual video footage of the moment it happened. Apple Music released a snippet (heh!) of Harry Styles: Behind the Album, a documentary debuting on May 15th, which “chronicles Harry’s musical journey while creating his much anticipated debut solo album.” The 30-second trailer has us pretty excited to see what’s in store for the behind-the-scenes look at his first solo record, and eagle-eyed fans were quick to notice a brief shot of the actual hair chop in the clip. Could he be referring to his haircut? 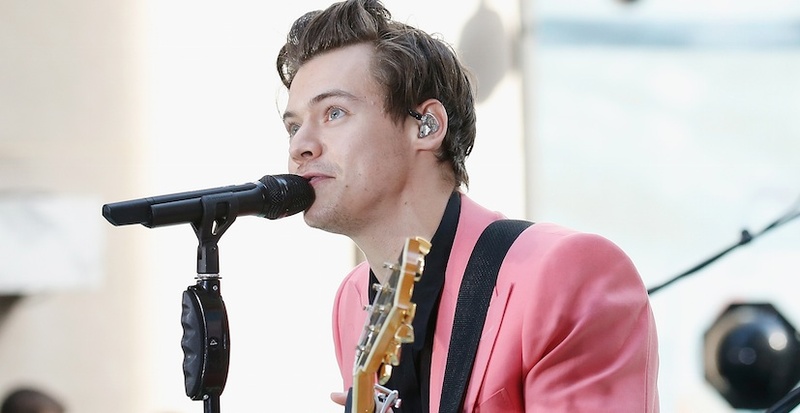 We’ll have to watch the documentary to find out, but for now, we’re just excited for his debut solo album, aptly titled Harry Styles, which will be released worldwide on Friday, May 12th. So soon!